Since first being introduced to the enterprise sector, the cloud’s role in corporate IT has only grown. According to research from Insight, cloud usage has steadily risen over the past five years – last year, 78 percent of businesses were using a web-based system for computing. In recent years, businesses adopting these off-premises systems have enjoyed a range of benefits, including unburdening their internal IT teams, saving costs and spurring collaboration and productivity throughout the company. In order to continue reaping these advantages, businesses must keep up with the latest cloud trends and use cases. Leveraging the cloud in new and exciting ways is part of this technology’s appeal, and can be just what a company needs to maintain its competitive edge. In spite of IT budgets only increasing by one percent in 2016, many decision-makers will put a portion of this extra funding toward cloud solutions, ZDNet reported. Spiceworks’ 2016 State of IT report showed that 14 percent of next year’s IT budgets will be put toward new cloud and hosted services, including email, web and online backup/recovery. The study also showed that 43 percent of respondents described the cloud as important to corporate processes in the future. In addition, 29 percent said the cloud was critical for current enterprise practices. The Internet of Things will also increasingly permeate the enterprise sector. The IoT, which depends on cloud and Bluetooth capabilities to function, will have a particularly significant impact on the way businesses communicate and carry out computing processes, according to Gartner’s Top Strategic Technology Trends for 2016. “Gartner is predicting that in the next three years traditional computing and communication devices, including desktop and mobile devices will increasingly be augmented by wearable devices, home electronics including appliances with sensors, transportation-based sensors and data collection devices, and environmental devices all capable of capturing data in real-time,” Enterprise Irregulars contributor Louis Columbus wrote. When it comes to specific use cases, many experts have found that the cloud is often leveraged to reduce complexity within the company’s infrastructure. IT Briefcase noted that the cloud has become a default strategy within the enterprise sector. In other words, the cloud is so cost-effective and flexible that, these days, it makes more sense to adopt it than to create an on-premises environment. Thanks to its flexibility, cloud solutions can be scaled, adjusted or otherwise configured to fit any need. If the solution doesn’t work as it is originally deployed, this doesn’t mean it’s time to give up. Clients can work with their cloud service providers to customize their platform so that it suits their unique needs. Cloud adoption will continue to increase into next year. Recently, hybrid cloud solutions have become the go-to due to the mix of benefits they can offer. In fact, Gartner predicted that the cloud will represent the bulk of new IT spending next year, and by 2017, nearly 50 percent of all enterprises will have a hybrid cloud solution in place. Hybrid in health care: Kleyman forecasted that hybrid clouds will become especially advantageous in health care, where organizations will leverage hybrid environments to provide more storage space. In addition, hybrid cloud solutions will help health care institutions keep computing costs down while increasingly moving their data, applications and records to digital platforms. Ensuring industry compliance: In the past, industry regulations or special rules for the treatment of specific data might have stood in the way of a cloud deployment. Yet today, some of the most prominent and data sensitive organizations utilize the cloud, including big names in technology, retail and government. Cloud providers can now help ensure that their services support the staunchest of industry regulations, including PCI DSS, HIPAA, ISO and even DoD standards. Space for application development: As more organizations adopt DevOps strategies, having the appropriate environment to carry out sprint activities becomes even more imperative. The cloud is already being leveraged to support DevOps initiatives and will continue to be used in this capacity in the near future. 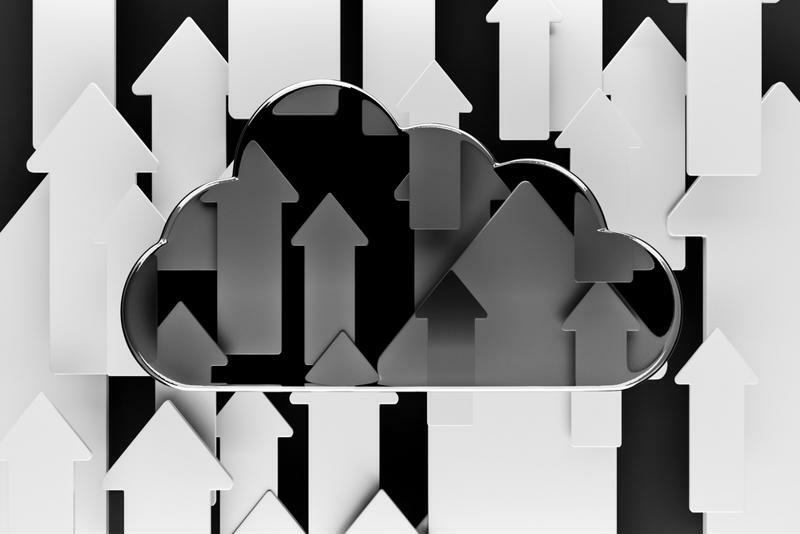 While no one knows everything that the future holds, it’s becoming clear that cloud computing platforms are now an integral part of hosting. As the technology matures, it has become further entrenched across the business landscape.